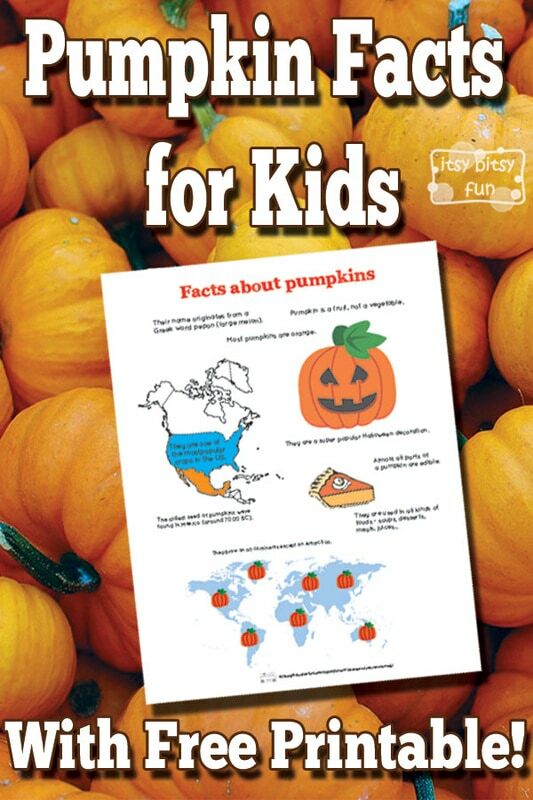 There are so many fun facts about Pumpkins! 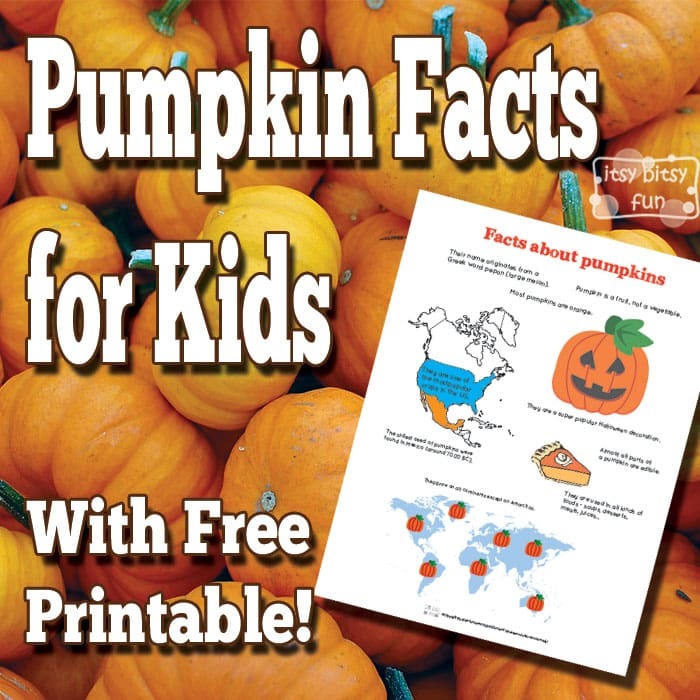 Let’s learn with pumpkin facts for kids! I’ve made a pumpkin life cycle worksheets along with a few other printables with this theme this year and that got me thinking that I should also make a page (and a printable) with fun facts for kids to make the learning experience even more fun. Well you will find all (well a few) fun facts straight on this page and you can also download it as a fun printable info graphic. Let’s learn about this fruit! Pumpkin is a fruit, not a vegetable. They grow on all continents except on Antarctica. Almost all parts of a pumpkin are edible. Their name originates from a Greek word pepon (large melon). They are one of the most popular crops in the US. They are a super popular Halloween decoration. Reading the facts is one thing (and it can be sufficient if your kid is a reading type) but visualising things can be even better. That’s why I’ve created this fun printable with all the facts illustrated to help kids “learn” them. Want more? Be sure to check the cloud facts for kids too! Also check the pumpkin math printables!